He also played in the pit orchestra for the Dallas Theater Center’s musical “Staggerlee." He is comfortable in many different musical situations and as such has been called to play: Small group jazz, Big Band Jazz, Top 40’s Bands (with and without click Track), Contemporary Christian, Fusion, Funk, Soul, R&B, Afro-Cuban, New Orleans Second Line parties and funerals, Cumbia, 1950’s Rock and Roll, et al. This is just a small sampling of the playing opportunities Andrew has had while living in Texas and doesn’t do justice to the experience he has gained from maintaining his busy gigging schedule. Other highlights include playing a show on the field of Dallas Cowboy’s AT&T stadium and playing with vocalist Phil Crosby, grandson of Bing. Andrew graduated from the University of North Texas with a undergraduate degree in Jazz Studies in 2014. During his degree he studied with world renowned drum set instructor Ed Soph. He moved from Edmonton, Alberta to study at UNT and his own teaching style and musical philosophy has been highly influenced by Mr. Soph. 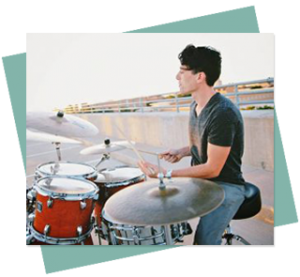 Andrew has been teaching drums and percussion privately for 8 years and has found equal success teaching those who have been playing for years or someone who has never played a note in their life. Recently, Andrew has been coaching Jazz Combos from the Greater Dallas Youth Orchestra made up of students aged 12-18. 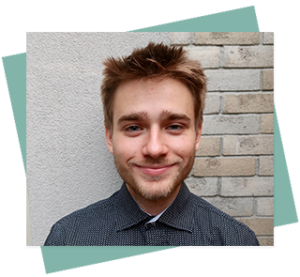 Regardless of the teaching situation, Andrew’s philosophy is to focus immediately on making music with others which always ensures the students have fun in lessons.